Adventure stories contain both personal and literal journeys. 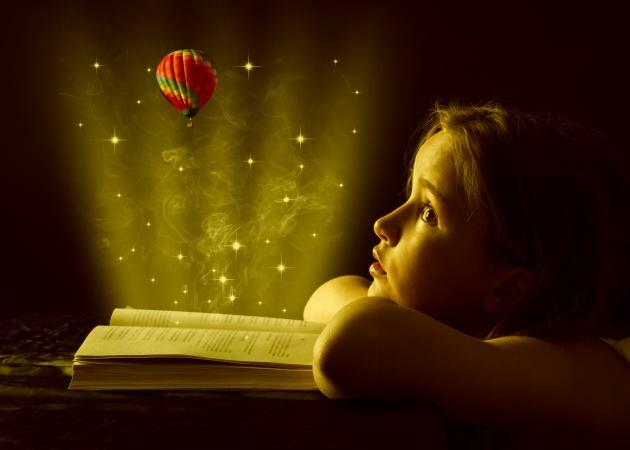 The best picture books engage young readers because they are relatable, imaginative and emotional. Picture books featuring adventures are common, but a few special stories rise above the rest. Picture books rely on the interplay between words and images. Some authors and illustrators are able to flawlessly create a story using few words or no words at all. 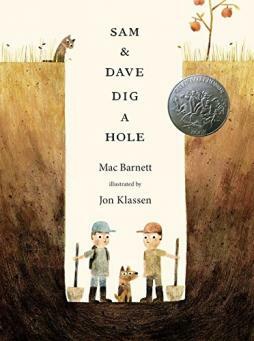 This deceptively simple story by Mac Barnett features two boys, Sam and Dave, determined to find "something spectacular" by digging in the ground near their home. Illustrator Jon Klassen's expertly crafted sparse artwork provides much of the humor and irony in the book. Sam and Dave Dig a Hole can be yours for under $20. It is a New York Times Bestseller and 2015 Caldecott Honor Book focused on the joy of the journey. The clever wordplay and puns in this tale of friendship by Beth Ferry amuse even the youngest readers. Illustrator Tom Lichtenheld brings the main characters, Stick and Stone, to life with adorable, basic facial expressions made by two black eyes and a black mouth. When Stick is in trouble, Stone comes to his rescue. Environmental hazards threaten to break up the dynamic duo, but they've got other plans. Stick and Stone is a New York Times Bestseller and a 2016 Children's Choice Book Award finalist you can own for around $13. This clever story was named to the Amazon Best Books So Far 2015: Ages 3-5 list and is an Early Childhood Education Zone Top 20 Children's Book Since 2013. This fast-paced adventure for toddlers and preschoolers explores the alphabet in a whole new way. The action starts when Dog's ball accidentally finds its way into a house belonging to Mouse. Author/Illustrator Mike Twohy uses pen and ink to create the fun pictures that tell most of the story. Oops Pounce Quick Run! An Alphabet Caper is a 2017 Theodore Seuss Geisel Award Honor Book, selling for around $11. Written and illustrated by Aaron Becker, Journey is a wordless picture book full of adventure. A lonely little girl discovers her red crayon can create real doors to enchanted worlds. Along the way, she learns about friendship, bravery and the meaning of home. The detailed illustrations and thoughtful color choice help young readers narrate the story. Journey is a 2014 Caldecott Honor Book that earned starred reviews from the School Library Journal and Booklist. For around $10 you can own a hardcover copy. Pre-readers delight in this basic tale of taking an idea from conception to reality. Otto the robot wants to go home, but first, he must build a spaceship. Author/Illustrator David Milgrim is the NYT Bestselling author of Go, Otto, Go! that sells for under $5 from the publisher. It is a Theodor Seuss Geisel Honor Book and part of the star-reviewed Adventures of Otto Series. Picture books published in the 21st century feature exciting new characters and are quickly on their way to becoming classics. This 2017 Caldecott Honor book features an unlikely main character, a grandmother. Vera Brosgol's modern folktale captures the spirit of adventure as a means to escape. Grandmother goes on an epic journey to find some peace and quiet so she can finish knitting sweaters for the children. Leave Me Alone! was named to Best Book of 2016 lists by NPR, Horn Book and the Huffington Post. Get the e-book version from Google Play for under $10. Explore courage and friendship is this adorable tale of one imaginary friend's quest to find the real child he belongs with. Author/Illustrator Dan Santat uses saturated colors and realistic cartoon drawings to bring out the deep emotion set into the story. The Adventures of Beekle: The Unimaginary Friend won the 2015 Caldecott Medal. For around $15 you can add a hardcover copy to your collection. 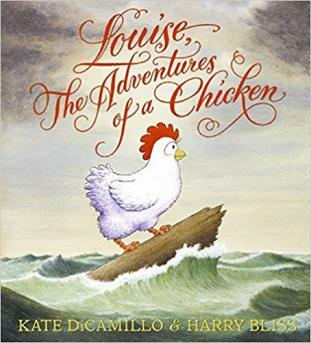 Award-winning children's author Kate DiCamillo brings us the tale of a brave and fearless chicken who leaves her home in search of adventure. Louise travels to many places around the world and meets friends along with foes. After publication in 2008, the book received starred reviews from Publisher's Weekly and the School Library Journal among other accolades. Illustrator Harry Bliss captures Louise's spirit perfectly with muted background colors. A hardcover copy can be yours for under $15. Every preschooler can relate to the dilemma faced by Trixie in this dual adventure story. Knuffle Bunny, Trixie's beloved stuffed animal got lost on a trip to the laundromat. Readers adventure with Trixie as she tries to find her friend, who is also on an adventure. Award-winning Author/Illustrator Mo Willems added two more books to this series to keep the adventures going after the original garnered a 2005 Caldecott Honor. Knuffle Bunny: A Cautionary Tale can be yours for less than $10. Author/Illustrator Judy Schachner introduces picture book readers of all ages to the adorable, adventurous Skippyjon Jones, a Siamese kitten who believes he is actually a chihuahua. The original book published in 2001 and features El Skippito's quest to save the day for his chihuahua friends. It was the first E.B. White Read Aloud Book Award recipient. The series now boasts eight books, each packed with wacky rhymes using a mix of Spanish, English, and totally made up words. Books are available from Amazon for around $10 each. Some picture books stand the test of time, remaining family favorites across generations even as the world around them changes. These books are considered classic and relay magical or sentimental journeys relatable to children and adults. Originally published in 1941, the first Curious George book by H. A and Margret Rey has never gone out of print. The story follows the journey of a little monkey as he is taken from his jungle home by the Man in the Yellow Hat, travels across the sea, explores the city, and finds his new home. George's antics are relatable to children who are also exploring their world. Curious George is a Top 25 Teachers' Pick Picture Book and falls in the top 50 of the Top 100 Picture Books of All Times as named by the School Library Journal. Purchase a hardcover copy for under $20 from the publisher. Sylvester and the Magic Pebble, written and illustrated by William Steig, follows the adventure of a donkey named Sylvester who finds a magic wishing pebble that turns him into a rock. Being a rock renders him unable to hold the pebble and he wishes to return to his former state. Steig's detailed drawings helped the book earn the 1970 Caldecott Medal. Grab a hardcover copy for less than $10. Corduroy is a stuffed bear who comes to life in a department store one evening as he searches for the button missing from the strap of his overalls. He wants to find it so he can be complete, making a child want to buy him. Author/Illustrator Don Freeman's beloved tale was inducted into the Indies Choice Book Awards Picture Book Hall of Fame and has been named in several Top 100 Picture Book Lists. Add this classic to your little one's library for under $6 from Amazon.com. Maurice Sendak presents young readers with a tale about the joys and pitfalls of being in charge. When Max gets sent to bed without dinner, he imagines himself as the wildest of the wild things who commands all that they do. 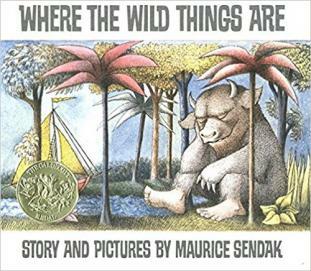 Where the Wild Things Are won the 1964 Caldecott Medal among dozens of other awards and was made into a movie in 2009. Add this must-read to your library for under $10 at IndieBound. A little mouse invents a fierce creature to save himself from a variety of predators as he walks through the woods. Author Julia Donaldson's creative rhyming text made The Gruffalo the winner of the British Smarties Prize. The vibrant illustrations by Alex Scheffler convey the emotional changes that occur throughout the story, particularly highlighting fear. Get a paperback copy for under $10. Most picture books feature some type of adventure as they follow characters on a mission to solve a problem. The different characters, settings and events will spark children's imaginations and perhaps inspire some real-life exploration.